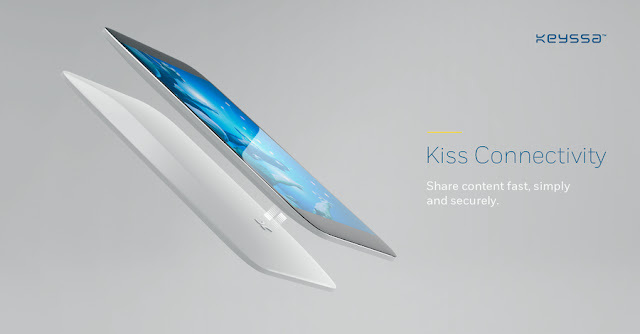 At first, it has announced that Kiss would be intended for connections between mobile devices, but at the end of last year, Intel announced its intention to invest in this technology opened up other possibilities. Intel seeks to incorporate this connection to its chips to allow links between desktop computers, laptops, convertibles, tablets and of course smartphones, even wearables are considered to be compatible with this new technology. Along with cell phones and PC transfers, they could also be installed in TVs, making it viable to play a movie from a smartphone by placing it nearby. Kiss is based on a coffee bean size connector that works on EHF (Extremely High Frequency) and will operate at a maximum distance of one centimeter of distance. Of course, they promise us a very high bandwidth, in the first tests between computers the software has achieved speed up to 5 Gbps and assure that the rate will be even greater in smartphones. This wireless transfer feature first can be seen in the Essential Phone, which has boosted $330 million in investment, plans to reveal a launch date for its $699 phone later this week. Andy Rubin is an investor in both Essential and Keyssa. 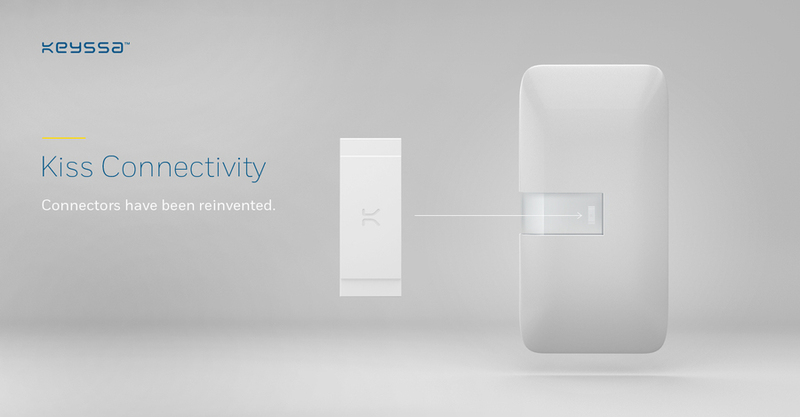 Keyssa mentions that they have already been granted 250 patents on this technology; however, they still do not have a date for the first device to reach the market. Is ‘KISS’ worth a try? Yes, Bluetooth and WiFi connections are handy, but they are not the ideal way to transfer large amounts of data quickly. For that, we are still tied to the usual cables. This new type of wireless connection capable of speeds up to 6Gbps, or 1GB in just two seconds. Keyssa says Kiss consumes less power than the current Bluetooth and WiFi links.